Leader Language School is an after-school language institute that focuses on ages six through eighteen (pre-college). Occasionally, we are asked to send our teachers to local public schools to assist in their English programs or summer camps. We also conduct one-on-one tutorial sessions, and special off-site group classes for adults in businesses and government agencies. For students who are interested in studying abroad, every summer, Leader Language Schools take students to the United States or England for summer intensive English language camps. These exciting three to four week camps also include excursions to famous travel spots in the host countries. Students come back to Taiwan with a renewed enjoyment about their learning of English. At Leader, we attempt to focus on the personal needs of each student. When students are ready, we urge them to demonstrate their knowledge of listening, speaking, reading, and writing by taking the appropriate level of the General English Proficiency Test (GEPT). Thus far, the students from our school have had great success in passing the basic, intermediate, and high-intermediate levels of this challenging test. Many students do so earlier than expected for their age group. Some have even received perfect scores on some sections of the test! Many former Leader students have gone on to attend top universities in Taiwan. Leader believes that it has contributed to the education of these fine students, not only by improving their English, but also by fostering a general knowledge of the world around them (an attribute that universities seek in their applicants). Our teaching philosophy entails providing a fun and exciting atmosphere to motivate students to learn a second language, but at the same time providing structured lessons, weekly quizzes, and continuous language drills. Teaching materials include various ESL/EFL conversation and grammar textbooks, as well as our own publications. Leader Language Schools currently have fifteen part-time and two full-time Taiwanese teachers of English. All Taiwanese English teachers are graduates of English departments or foreign language departments specializing in English. Many of our Taiwanese teachers are enrolled or have completed Master's Degrees in such fields as Linguistics, Translation, Children's English, or Literature. The primary job of Taiwanese English teachers is to explain grammar. We have five full-time North American teachers from Canada or the United States. All native-speaking English teachers have teaching, mentoring, coaching, or TEFL/TESOL experience. It is the native English speakers' task to engage in meaningful dialogue, check pronunciation accuracy, and facilitate listening skills practice. 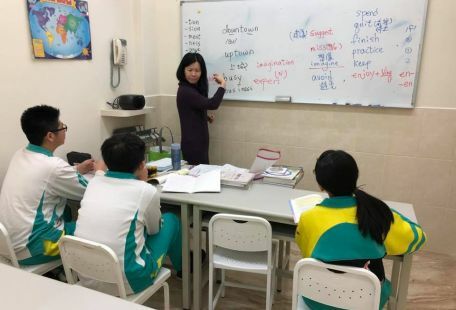 Together, the Taiwanese teachers of English and the native English-speaking teachers are jointly responsible for each basic to high-intermediate class. These teachers are not in the room at the same time, but have a set time to visit classes. In both the primary and advanced levels, a native teacher teaches the entire class. 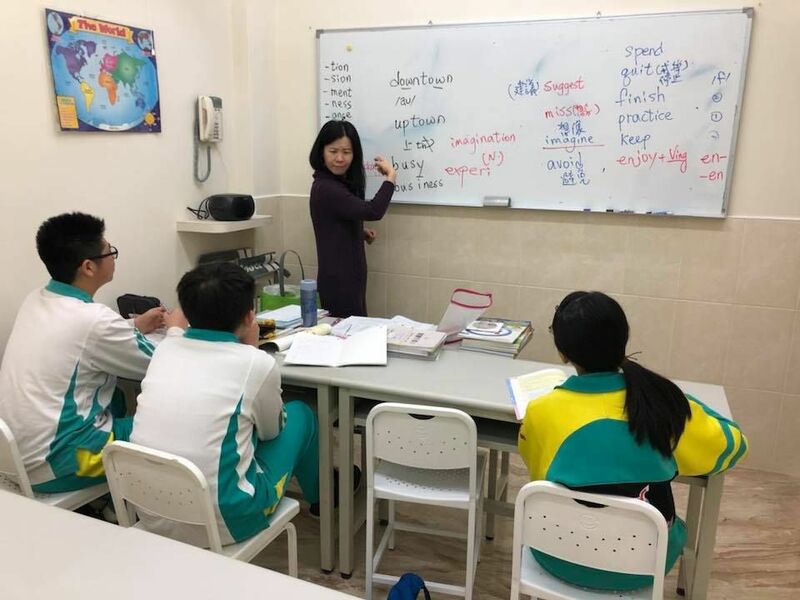 Our teaching team is also assisted by a friendly secretarial staff, part-time student “graders,” as well as the directors at each branch of Leader Language Schools. Enthusiasm to motivate kids to learn English as a second language, and flexibility to cope with class changes. You do not need to have any prior knowledge of Chinese (We teach English with English). LEADER LANGUAGE SCHOOLS are privately-run language institutes in Changhua, Taiwan. Changhua is a mid-sized city in west-central Taiwan. It has many temples and one of the largest free-standing statues of Buddha in Southeast Asia located on scenic Ba-Gua Mountain. The city is home to Changhua University of Education and Jian Guo Technical College. Changhua has an exceptional golf course, two driving ranges, a top-notch tennis facility, a cultural center with library, internet cafes, tea houses, and much more. Not far to the west is the town of Lukang- famous for its handicrafts. The larger city of Taicheng lies to the north, only 20-30 minutes by car or train. LEADER LANGUAGE SCHOOL is an after-school language institute. We teach English as a foreign language in beginning through advanced groups or tutorial classes.